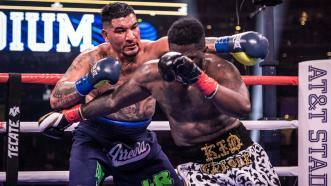 Chris Arreola returned to the ring after a year layoff against Jean Pierre Augustin tonight on PBC on FOX PPV at the AT&T Stadium in Arlington, TX, finishing Augustin by TKO in RD3. 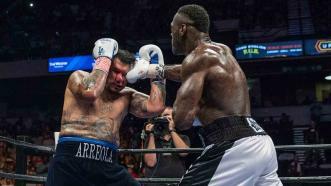 Deontay Wilder successfully defended his heavyweight title for a fourth time with an eight-round beatdown of Chris Arreola. 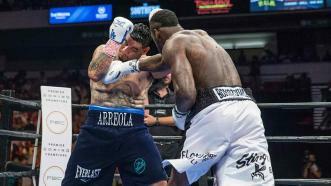 Deontay Wilder was so impressive defending his world heavyweight title against Chris Arreola, he didn’t even need both hands to finish the job. 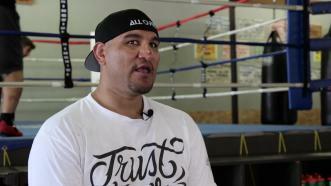 Having dropped his first two world title fights, Chris Arreola understands Saturday's fight against Deontay Wilder likely will be his last chance to become a heavyweight champion. 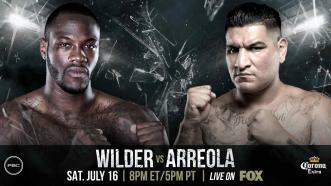 Undefeated heavyweight champion Deontay Wilder defends his crown against two-time title challenger Chris Arreola. 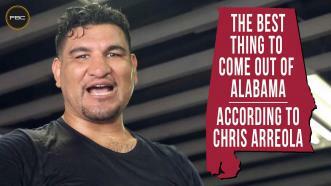 Chris Arreola has a few choice awards on what he thinks is the best thing to come out of Alabama and it's NOT Deontay Wilder.